Add a dash of glamour to any special occasion with this festive duo of Oxfam sparkling wines. A bottle of Sensus Extra Brut and Oxfam Sensus Brut Rosé are presented in an elegant black gift box. Fair Trade sparkling wine is the perfect gift when you wish to be eco-conscious while enjoying all the pleasures of bubbly. 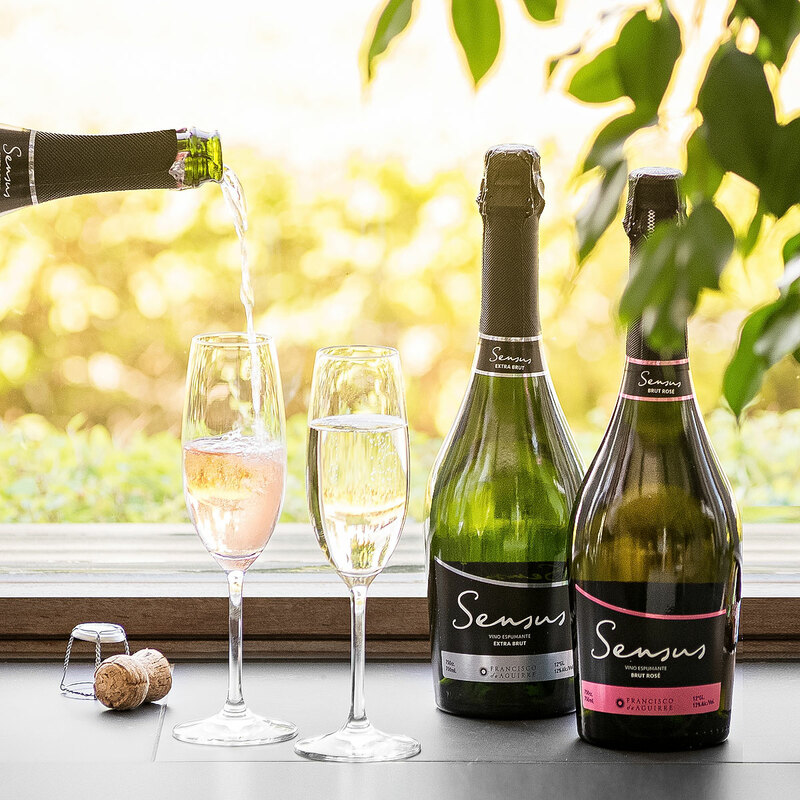 The pair of sparkling wines are created from Chilean grapes. The Rosé is fresh and elegant, with a nose of red fruits with violets and mineral notes. Vivid cherry and strawberry flavors finish with a harmonious aftertaste for pure enjoyment. The Extra Brut is created with Pedro Jiménez grapes using the charmat method of fermentation for finer, longer lasting bubbles, and a vibrant aroma. Enjoy citrus and mineral notes, with a refreshing, dry finish.